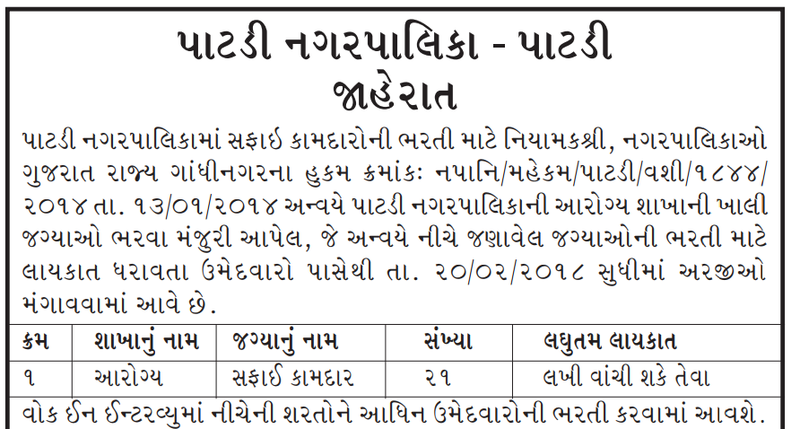 Patdi Nagarpalika has published Advertisement for below mentioned Posts 2018. 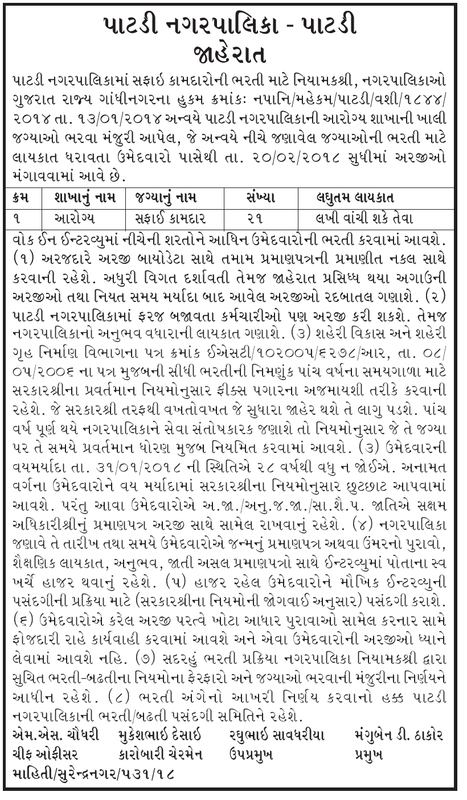 Other details like age limit, educational qualification, selection process, application fee and how to apply are given below. Min. Qualification: Reading and Writing Skill. February 7, 2018 at 9:38 AM delete This comment has been removed by a blog administrator.